I think it is fair to say that there are few people that will argue that the world as we know it is not only changing, but over the last years has changed almost beyond recognition. Explosions in technology, particularly digital technology, has meant that we live our lives differently. Social media connects us on a global basis; working practices are flexible. Everything is immediate; everything is connected. We live within a global network, indeed innovation means many things we once believed would only ever exist in the movies or in science fiction are becoming fact. Driverless cars; artificial intelligence, video communications with the other side of the world. To enable us to take this “brave new world” and make a success of it we need to transform ourselves to be innovative and adaptable to change. We need to be able to question and challenge our philosophies and be willing to think and react in new and different ways to the opportunities now available to every one of us. I have always taught my students that as educators we are educating our next generation to operate and live in a world, which is still on the drawing board, a world that is yet to be invented. The revolution of change has not yet finished, new opportunities are waiting. The world is becoming increasingly entrepreneurial and innovative. This being the case, education has to match that innovation. 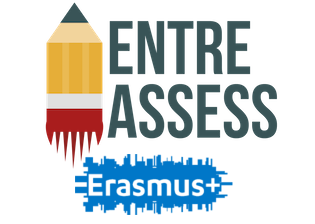 To enable us to help educate our next generation for these opportunities I would argue that we need to develop new skills, and to me the answer is the EntreComp framework and EntreAssess, for how else do you measure qualities such as creativity and innovation. In my position as a teacher educator I have the opportunity to connect with a wide variety of teachers and academics from a variety of subjects; teaching at a variety of stages. I know some very innovative teachers and I know teachers who only equate entrepreneurial skills with business. Comments like, “yes, that’s all well and good, but I teach Geography, or Maths…” abound. 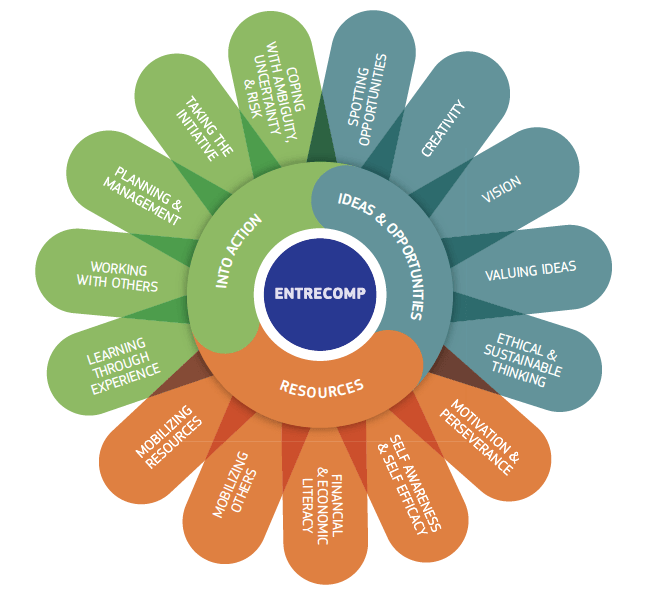 And yes whilst the EntreComp and EntreAssess focuses on three main competences enabling actions such as dealing with ideas and opportunities, using resources getting into action. Within these three focal points are further competencies which relate to the brave new world I referred to earlier and I would argue are crucial in supporting and developing the next generation of learners who can embrace change and live their lives to the full. To support this view I want to ask you to complete a little task, whether you be a teacher of a specialism or whether you have a special interest in a domain of learning, the most important part of your classroom or learning environment should be your learners. Which one of you doesn’t want an entrepreneurial learner: one who can spot opportunities in life as well as in learning? A learner who has vision and is creative, a creative learner is able to generate ideas, use divergent thinking to create opportunities and look past what those ideas are to what they could become. A learner who can accomplish all this in a sustainable and ethical manner. Competencies such as this can turn compulsory education into a desire to continue learning throughout life. How about learners who are able to motivate themselves and others, generating an excitement about learning. Learners who have a resilience to learn from their mistakes and turn that failure into a positive experience; developing the sort of attitude that enables them to take control of their own learning. 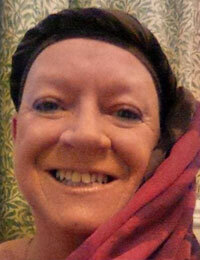 Learners such as this are likely to be able to recreate the learning to suit their own needs. There is much evidence that collaboration and social interaction can promote learning, indeed the socio-constructivist learning theories are built on that premise So how about learners who can successfully collaborate with their peers, planning and taking the initiative in the classroom and in life and in doing so becoming able to cope with both ambiguity and risk. If these are the sort of learners we want regardless of discipline, or age, then think about what these learners can contribute as they mature into citizens post education. Like many countries across Europe, Wales is undergoing massive curriculum change, a change which is starting in our foundation phase and continuing right the way through out secondary education, with hoped for impacts up to Higher Education? 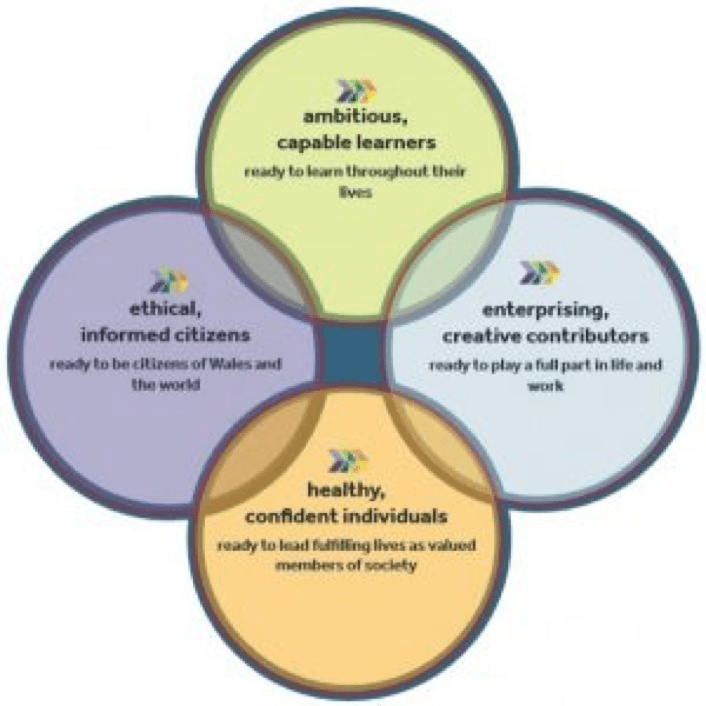 I believe this to be an inspiring and exciting aim of Wales and the Welsh curriculum, I also believe that if you unpick what the review means by, Ambitious capable learners; Enterprising Creative contributors; Ethical informed citizens and Healthy, Confident individuals then there is a resonance between developing this “Citizen of Wales” and developing the skills which lie at the heart of the EntreComp and EntreAssess frameworks. In short we need to promote a culture of creativity in education, a place where our learners can learn by their mistakes, where they have a resilience which allows them to accept failure as a positive learning experience. Where they have the self –efficacy and self-esteem to make things happen.